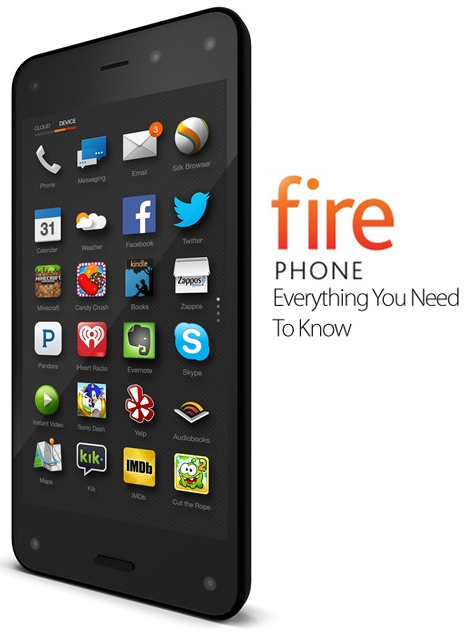 E-commerce giant popularly known as Amazon has finally unveiled the long awaited Fire Phone handset. However, industry watchers are keen on the pricing of the handset, as they had expected it to retail at cheaper prices compared to rival iPhone and Galaxy smartphones. Today, we will provide you full in-depth Review of Amazon Fire Phone with full Specifications, Features, Functionality, Price, and Availability details. Amazon Fire phone's hardware is just as good as that of their competitor Smartphones though, but analysts speculate that it's not a very good idea to price it equally with other high-end phones available in the market. It's 4.7 inches in size and it features a 3D imaging and gesture control technique, which is considered a ground-breaking technology. By pricing it the same as the latest iPhone, Amazon is hinting at how great their technology is, says James McQuivey, who is the Principle analyst at Forrester. This is also considered a deep shift for the e-commerce giant as it first offered its tablets at low prices to hook customers. 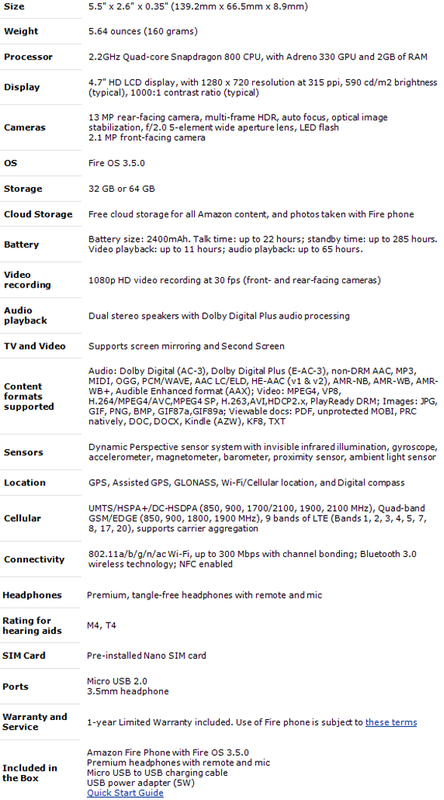 You can read the official specifications, features and Functionality of Amazon Fire Phone in below Infographic. 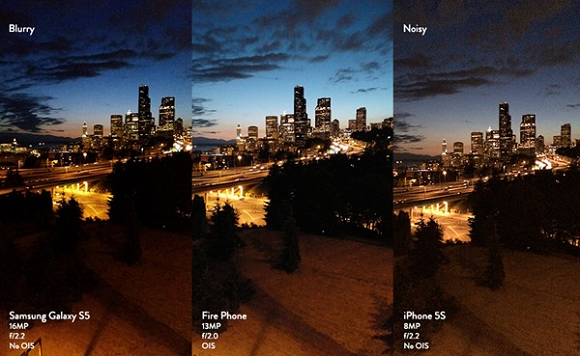 You can see the comparison of Amazon Fire Phone Camera with Apple iPhone 5S and Samsung Galaxy S5 smartphones. Will the Amazon ''Fire'' burn? It appears that the phone is set to hook even more investors. Amazon's stock price shot up instantly the moment it was launched to almost 9%, which represented a $334.38 by close of last week's trade. But marketing analyst, Ryan Huang, says Amazon will need to entice a portion of its customers to get it in order for the ''Fire'' to pick up. The smartphone has already acquired a new name, with others calling it a shopping device instead of Fire Phone. It comes with a feature known as ''Firefly'', which automatically identifies products using the camera of the phone before adding them into users Amazon account. Should loyal customers connect with the device, then there's a guarantee that the sale of videos, music and other items will shoot. Now, it's Amazon biggest worry on how they are going to convince customers to switch to AT&T from other mobile networks. AT&T is the phone's exclusive carrier. Out of the 250million active amazon customers, 3/4 of that number comprises of customers who have really good smartphones that don't operate on AT&T network. They'll need to do a little bit of pushing, say offer more than just 1 year of free Amazon premium services. These are challenges that Apple might take advantage of to overthrow the Fire Phone in the near future--only time will tell. It's also a nfc readers support device. Is Amazon’s Fire Phone a true iPhone Killer? With that kind of media coverage, it's very likely that competitors such as Apple will not sit back and smile. This grand announcement of Fire Phone represents just another attempt for internet-related players to step up efforts in the world of smartphone devices. It's definitely going to impact on Apple's franchise. 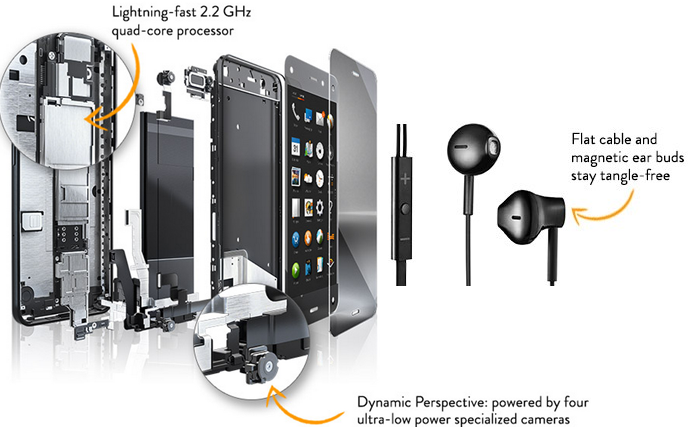 You can expect something better and unique introductions by Apple as compare to what Fire Phone is currently offering. However, other industry players speculate that the Fire phone will not have a significant impact on Apple. For instance, in 2011, Kindle Fire tried to rock the market with others calling it the “iPad Killer”. Apple didn't feel any impact at all. And most so, we're waiting for the iPhone 6, which is also expected to steal the show as soon as it arrives. Amazon, which is popularly known for great deals has priced their first ever smartphone at $199.99 for 32GB and $299.99 for 64GB storage capacity respectively. There's also a 2 year AT&T contract for those would like to get it, And a $649 for 32GB and $749 for 64GB unlocked off-contract model, which is just the same as Apple's latest iPhone 5. Amazon Fire Phone will be officially available for purchase from July 25th, 14 with free 12-month Prime Music subscription for a limited time, while pre-orders have already started. Amazon Fire Phone box will include a handset with tangle-free headphones featuring magnetic earbuds, ergonomic fit and a flat cable. Where to purchase Amazon Fire Phone officially? You can buy and get Amazon Fire Phone off-contract and on-contract (AT&T) handset models of 32GB and 64GB online via Amazon Store as available below.